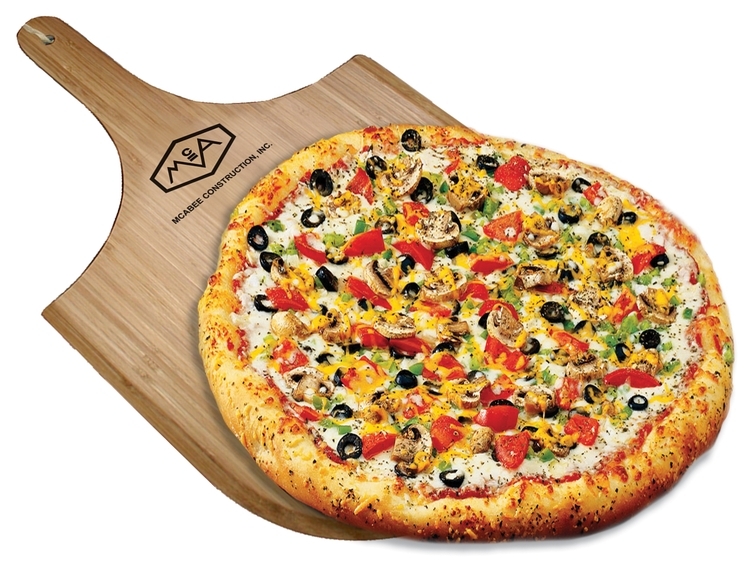 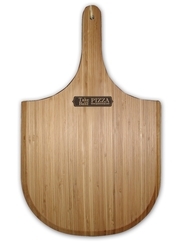 The Pizza Peel is a generously sized, flat paddle that has an ergonomically designed handle & tapered edge which is ideal for sliding pizzas, bread and biscuits in and out of a hot oven. Can also be used for cutting and serving. 12" x 20".